Store your trinkets in a boring box? NEVERMORE! 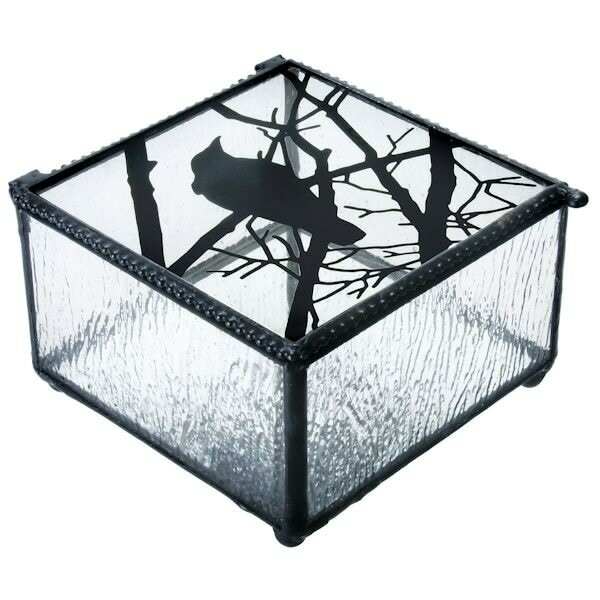 Attractive glass art box is decorated with a black raven on the hinged top. Made of glass. 2¼"x 4"x 4".